One important question to ask yourself before you choose either of these platforms is do you want to build a website to sell products or just a website in general? If you are only trying to build a website where you have no products to sell, you have no need to use Shopify, so I’d recommend not even getting involved with the Shopify platform and instead look at the other website builders. If you’re looking to make a website or blog from scratch and don’t want to specifically use Squarespace, check out the build a website from scratch guide. If you’re looking for a complete review of the Shopify platform itself, take a look at our 2015 Review of Shopify from an actual customer here. As you can see, Shopify caters more towards the selling of products compared to the publishing on blog posts and website content. While Shopify does have a built in blogging feature, it is limited in features and doesn’t have near the capabilities of a blogging platform like WordPress. 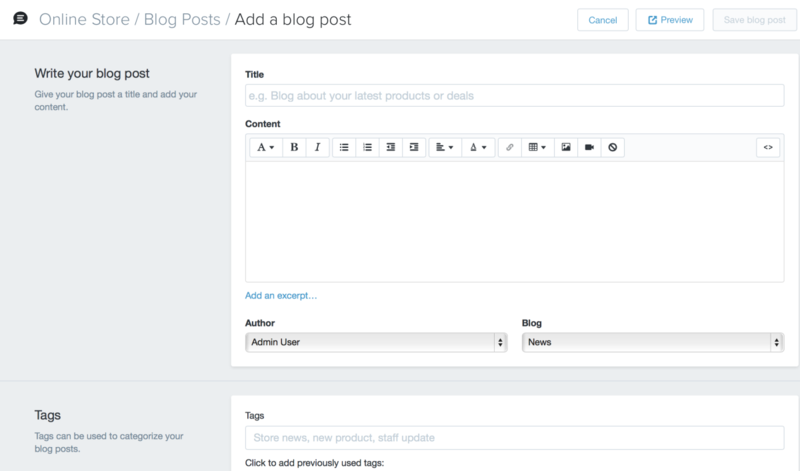 Here’s a look at what blogging on Shopify looks like – the editor and tag manager are useful. There is also a “Search Engines” section that lets you set the page title and SEO settings. Shopify has four different pricing tiers, and an additional pricing tier for professional sellers. If you aren’t a huge business with millions of sales each year, you won’t need to worry about the professional tier. Shopify comes with a free 14 day trial, so you can try it before you purchase a monthly payment plan. As you can see, there’s something for every type of seller at Shopify. Whether you’re a mom-and-pop store or a huge multinational corporation, Shopify can support your sales and traffic (as long as you’re willing to pay the monthly cost and Credit Card transaction fees). Another really cool feature is the Shopify POS system, an iPad with software installed that lets sellers with a physical brick and mortar store accept payments inside the store itself on the POS system. You can even let your customers browse your entire inventory right from the device and swipe to make a purchase. The fees for using this device are cheaper than buy strictly online. 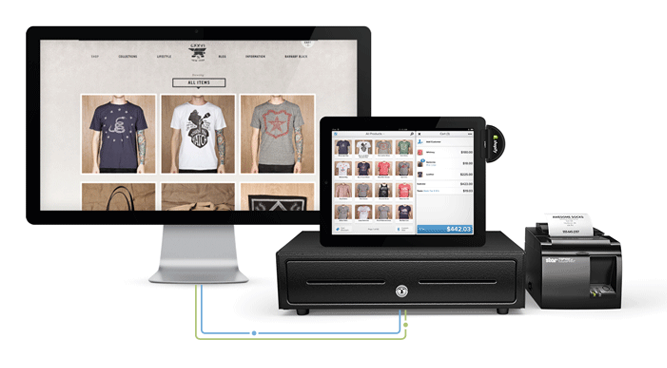 You can watch the full demo video here if you want more info about the Shopify POS feature. Squarespace also has their pricing tiers, which are more geared towards the everyday blogger or portfolio user, but does offer e-commerce support for stores and online businesses. When you’re thinking about which service to sell your products online, you should also be aware of the credit card transaction fees that both Shopify and Squarespace charge. As you can see in the pricing tier above, Shopify charges anywhere from 2.4% – 2.9% per transaction (plus a few cents depending on your seller plan) every time a customer on your website makes a purchase. Squarespace, on the other hand, does not directly charge you a transaction fee, but Stripe, the payment processor, charges a fee of 2.9% + 30c per transaction depending on your location. These fees can add up quickly, and they are important to consider if you are going to open up a business selling items with a small profit margin – keep these fees in mind. There are over 70 different payment gateways to choose from on Shopify. If you’re selling products to multiple countries, make sure you do your research. Shopify has a number of payment gateways which enable customers from all over the world to make payments and use their credit cards, but Squarespace only uses Stripe, which is not supported in some countries. If you do plan on using Squarespace to sell products, make sure that the countries you are selling to are compatible with Stripe, otherwise you won’t be able to accept payments. If you’re using Shopify, you don’t need to worry about this. Squarespace has beautiful templates, they are ready to use and come with most of the features you would expect – including responsive design so that they look great on any device you use, including an iPhone or tablet. 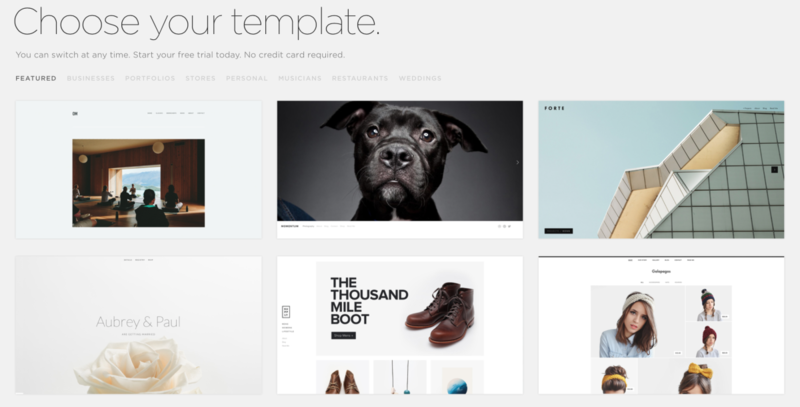 While the templates look great, they are limited in number compared to Shopify, which allows third party designers to create their own templates and sell on the shopify template store. The ability for third party developers to create their own custom templates means you’ll have a much larger selection to choose from, and also the ability to stand out a bit more in terms of originality. When it comes to plugins – Shopify takes the cake. Their plugin library is constantly growing and has some amazing free and paid plugins that can really take your store to the next level. For example, a popular plugin I use all the time is Shopify Reviews (it’s free, and Shopify made it). The Shopify reviews plugin makes it easy for customers to leave a review of your product on your store. You can manually go and approve each comment, or allow comments to be posted immediately once submitted by the user. This is just an example of a plugin that is available, there are hundreds of plugins, ranging from reporting tools to support chat integration, to advanced SEO for your Shopify store. Shopify also makes it easy to install these plugins, with a 1-click install, the plugin can be installed on your store and you just need to configure the settings to your liking before it is available for use. Squarespace has no official plugin directory – there are a few companies that offer Squarespace plugins, but you need to integrate them yourself into your website, and most of them cost money. You can visit the Squarespace answers forum for help with installing these plugins, but for the most part you’re on your own when it comes to installing any of them. Shopify has a great customer support network. You can reach them 24/7 by phone, email, and chat – most of the time the wait is only a few minutes. In addition, Shopify gives you access to a wide range of tutorials, guides, and video walkthroughs of how to do most actions on your website, including guides on how to add products, how to customize your theme, as well as many others. Shopify also has a forum where you can ask for help from the community. Squarespace does offer all the same types of support besides phone. This is kind of a huge negative for me and you can call me old fashioned, but when I have a problem I really just want to talk to a person on the phone. Squarespace also has a forums area where you can get help with some of the more advanced options on Squarespace, and also has a guides area where you can read up on how to make changes to your website. If you’re a person who just wants a blog or a website to sell a few products here and there, and you will only be selling to customers within the United States, use Squarespace. Squarespace is also great for personal portfolios and resumes, and the features they have will make your website look professional even if it only takes you a short amount of time. If you are an entrepreneur or a person who wants to seriously consider selling products online, use Shopify. 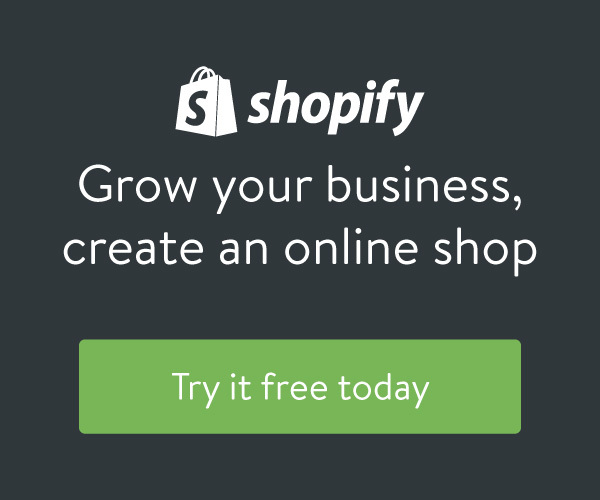 Shopify has all the tools you need to be successful with your online business, and has the support to help you with each step along the way.